Despite President Hassan Rouhani’s pledges during his election campaign in 2013 that “All ethnicities, all religions, even religious minorities, must feel justice,” the targeting of Christian converts for state persecution and prosecution has continued unabated under his administration. Most recently, two days before Christmas, officials from the Administration’s Intelligence Ministry arrested a Christian convert in Isfahan, according to the Alliance of Iranian Churches known as Hamgam, carting him and an assortment of his personal belongings off to an undisclosed location. The arrest of leaders of minority faiths in Iran, especially those that engage in proselytizing, and the systematic discrimination of members of such faith in all walks of life, have led the UN Secretary-General and the UN Special Rapporteur for Iran to consistently cite the denial of freedom of religion as a major human rights violation in Iran. “Agents of the Intelligence Ministry in Isfahan entered the home of Meysam Hojati on December 23, 2015, scolded him in front of his parents, slapped him on the face, searched his home and took personal belongings including his computer, phone, Holy Book and Christian pamphlets,” Mansour Borji, a spokesperson for the Alliance told the International Campaign for Human Rights in Iran. “They took him away handcuffed and blindfolded. The agents even took the Christmas tree. That’s really strange. Why would they care about a Christmas tree?” he added. Borji, who lives in the UK, told the Campaign that since Hojati’s arrest, his family has been unable to establish where he is being held. Hojati was previously arrested in March 2012 along with a group of other Christian converts in Isfahan and accused of proselytizing in home-based churches, the spokesperson for the Alliance of Iranian Churches said. Home churches are unofficial and unlicensed places of Christian worship in people’s private homes. They have steadily grown in number in Iran due to the authorities refusal to license new houses of worship. The Christians were released on bail two months later. 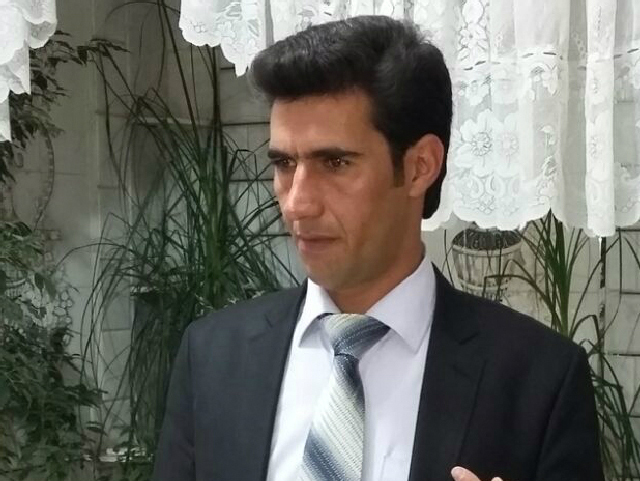 A year before, on December 26, 2014, Pastor Victor Bet Tamraz, a former leader of the Tehran Pentecostal Assyrian Church, along with two converts, were arrested in Tehran. He was also released on bail after two months in detention in Evin Prison. این نوشته در ENGLISH POSTS فرستاده شده. مشاور میر حسین موسوی خطاب به آقای خامنه ای: اتهام تقلب متوجه نظام نبود؛ تایید زودهنگام شما چنین کرد.